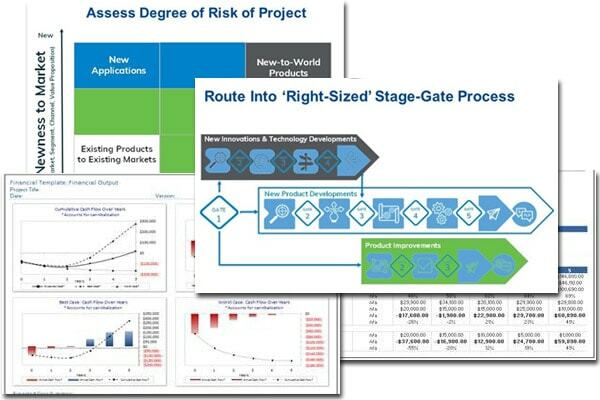 Operational Idea-to-Launch Roadmaps apply the value-adding functional and cross-functional activities in the Stage-Gate sequence proven to drive the best in-market success. 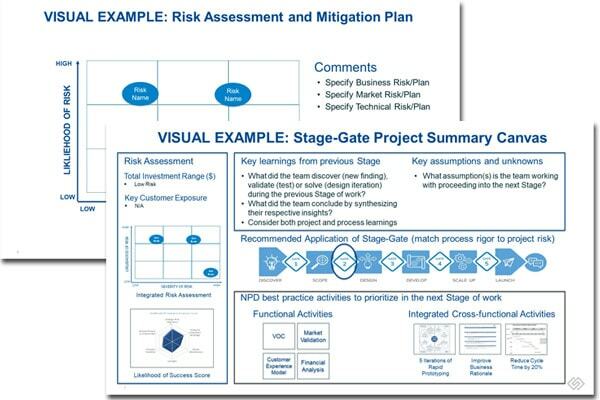 Practical Worksheets guide the seamless integration of three key developments: Product (develop a winning product), Project (maximize team effectiveness) and Business (maximize business impact). 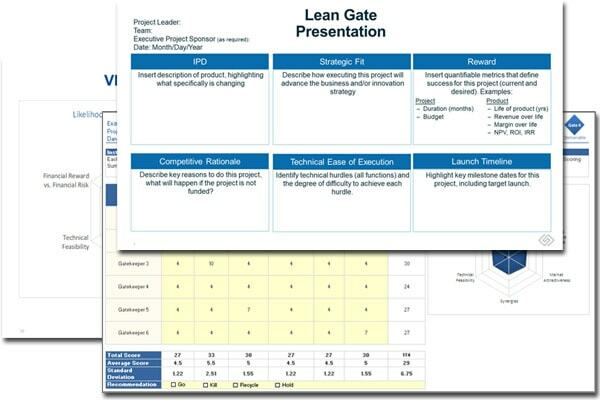 Executive Summary Gate Deliverable Templates facilitate robust investment evaluations and rich alignment discussions that engage senior managers during Gates. Genuine Gate Meeting Formats guide focused, objective, fact-based decision making, project prioritization and resource allocation. Examples bring life to the worksheets and templates by setting quality expectations. 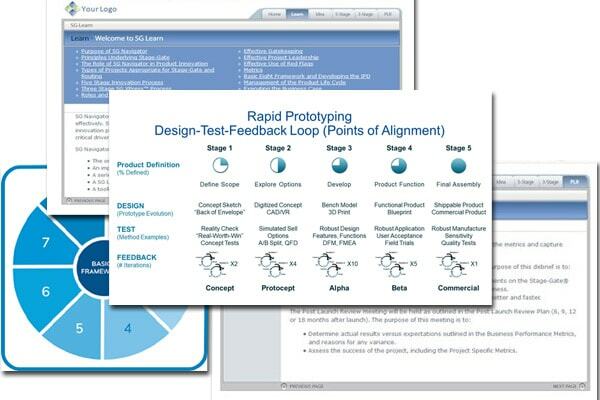 Process Learnings Feedback Loop captures valuable process improvement ideas one Post Launch Review retrospective at a time, so the organization can benefit from the retained learnings in Stage-Gate Navigator.